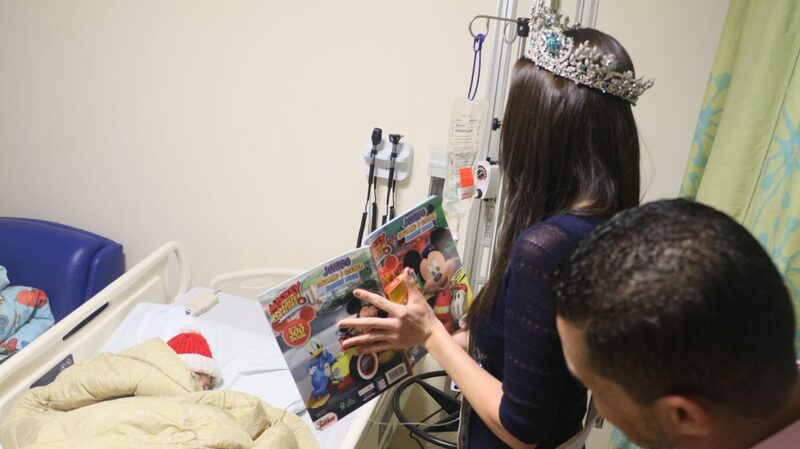 Miss Supranational, Valeria Vazquez, visited the San Jorge Women and Children’s Hospital Oncology Department earlier this week. Thanks to the generous support of Walmart Puerto Rico, she was able to bring gifts to the young patients at this hospital in San Juan. According to the requirements of the department the visit was made to, Valeria was allowed to take coloring books and crayons to the children. “The good thing about this particular hospital is that it is super colorful, has cute painting all over the walls and nurses are fantastic and they dedicate themselves to bringing smiles to the faces of their young patients. When I was child, I also spent time in this hospital. I got dengue fever when I was child and spent some time here, so I know that the young children are treated with love and care here. Even later, when I was in a violin group, we returned to this hospital to play for the kids,” Valeria reminisced as she left the hospital.